Programme shall be organized for students /teachers groups on large projection screen. The aim is to provide opportunity for school children to know latest information of Science & Theology. 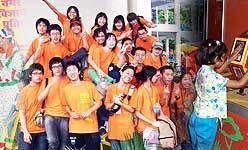 Organize programme for Mobile exhibition, Film show & Science Demonstration Lecture etc. in one site total site 35 nos. of site. Activities for Swacch Bharat awareness among students & general masses. 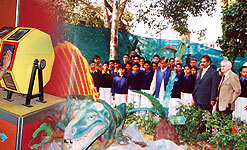 Various educational activities shall be organsied among students, Teachers and general visitors during the celebration. Developing of low cost teaching aids for use in classrooms as supporting materials. During the programme, working models on different science topics will be fabricated by the participants themselves to use them in class room teaching as a teaching aid. 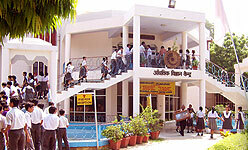 Various educational activities shall be organised during the celebration. * Popular Science Lecture on all Commemorative Programmes, Science Expo and National Science Day Celebration, in addition to this several educational programme may be organized in association with various organizations on request throughout the academic year. © Regional Science City Lucknow. 2013 - 2018 | Best viewed at 1024*768 pixel resolution in IE 7.0 or above and Firefox.